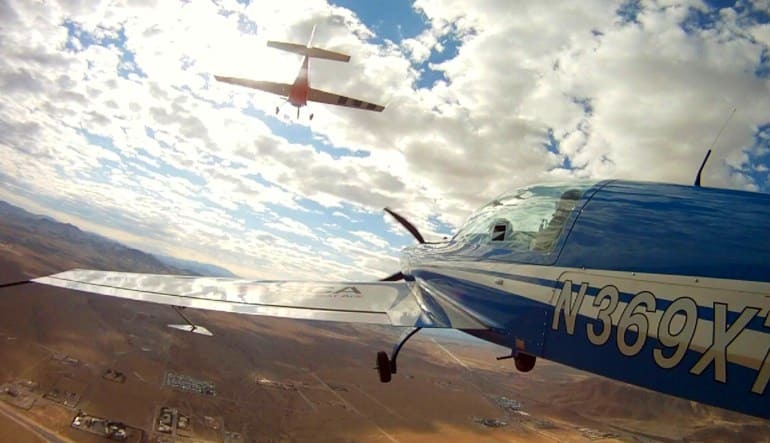 Outmaneuver your friend and go for glory with this dogfighting experience for two in Las Vegas. Determine who is the better fighter pilot! Engage in air combat for a full 50 minutes of aerial dogfighting. You’ll be at the control of your Extra 300 aircraft, with actual fighter pilots as your co-pilot on this mission. And the mission is simple: take down your enemy – who only moments before was your friend. 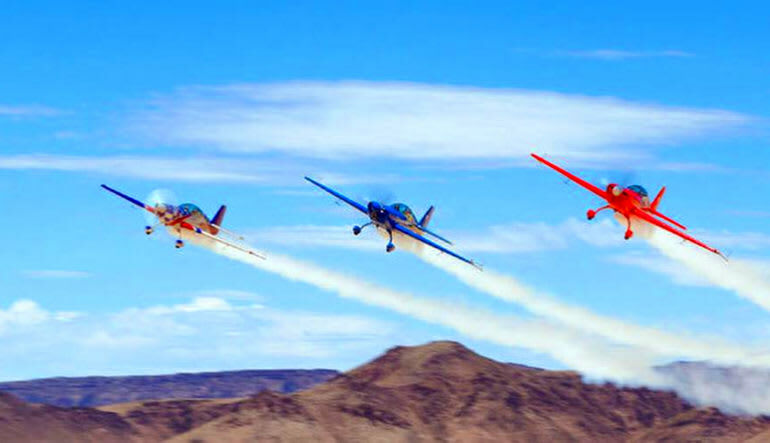 Fly with Actual Fighter Pilots and Compete Against Your Friend! Under direct supervision from you instructor, you will learn basic fighter maneuvers and then it’s time for aerial warfare. Thanks to an advanced optical targeting system, when you get the kill you’ll get to watch smoke come out of your opponent’s aircraft.